Fascinating is the word that best describes the lore of that delectable holiday treat we call gingerbread. Ginger root has been treasured from antiquity for seasoning food and for medicinal purposes. About 800BC, the Greeks invented gingerbread. Called “melitates,” it was a solid block made of honey combined with flour, ginger, and spices. By the 14th century, Germans had refined the lump into fanciful shapes using carved wooden molds. This idea spread into England where Queen Elizabeth I is credited with inventing the first gingerbread man. The first gingerbread guilds appeared in Germany in the 16th century and as the popularity of gingerbread grew, the cry of the gingerbread hawker was heard in the streets. In the early 17th century, the French and English added eggs, flour, and honey. When molasses from North America became available to the English, it was often used as sweetening. Early settlers to the American Colonies brought their cravings for gingerbread with them and gingerbread assumed a variety of roles in Colonial lifestyles. Traditionally, the first Tuesday in June was “Muster Day” in the Colonies. The citizenry would turn out to view the local militia train while the ladies would serve gingerbread as the treat for the day. 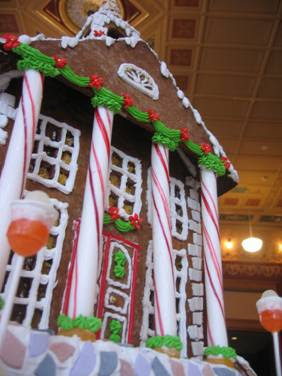 Gingerbread was also used as a bribe to voters to elect certain candidates to the House of Burgesses. In some of the Colonies, on December 21st, the schoolboys would “bar the master,” arriving to school early in the morning to ensure the schoolmaster could not enter. After some half hearted pleading and the offering of gingerbread as ransom, the teacher would give up and declare a holiday over Christmas. At New Years, parents would encourage their children to eat a gingerbread hornbook so that they would be smart in the new year for having eaten all the knowledge of the hornbook. Throughout the 19th and early 20th centuries, as throngs of German immigrants found their home in Fort Wayne, merging with the existing English population, our community’s ancestors solidified the traditional celebration of gingerbread, which has manifested itself in the annual Festival of Gingerbread for 25 years. 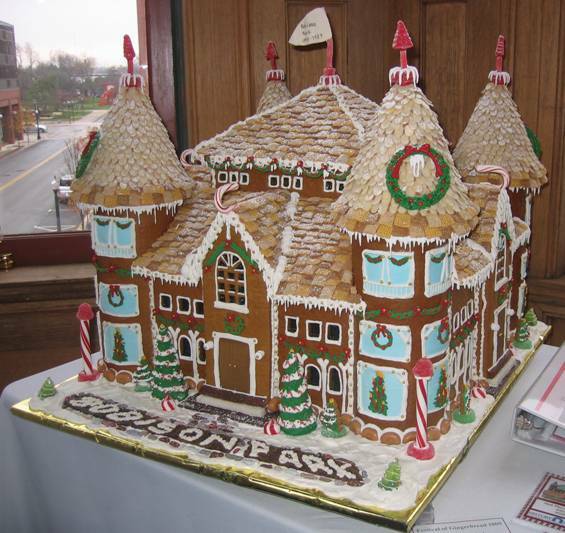 Join us at the History Center through Sunday, December 12th as we celebrate the Silver Anniversary of the Festival of Gingerbread.